10" x 14" Plastic "NO SMOKING" safety sign offers easy installation with 0.1875" mounting holes and is used to indicate type or degree of the hazard. 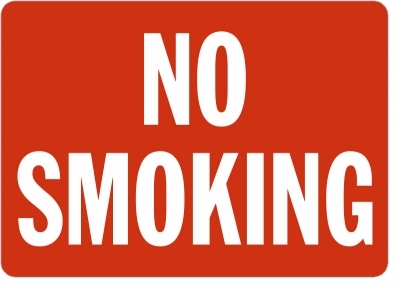 Accuform Signs® 10" x 14" Safety sign has red "NO SMOKING" text on a highly visible white background. Plastic sign having rounded corners is ideal for indoor/outdoor use.